In 1916, the British Army had a very bad day. In fact, its worst day. Ever. Never had things been so well planned and gone so horribly wrong. 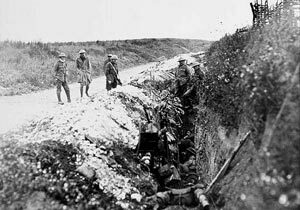 At 7:30am sharp on the morning of July 1st , 1916 divisions containing regiments from across the United Kingdom climbed from their trenches into a withering maelstrom of enemy fire. The Plan had called for an unwavering, constant advance towards a German enemy crushed beyond all hope of resistance. There was no Plan B. Within hours the British Army suffered almost 58,000 casualties, amongst which 19,000 were dead. 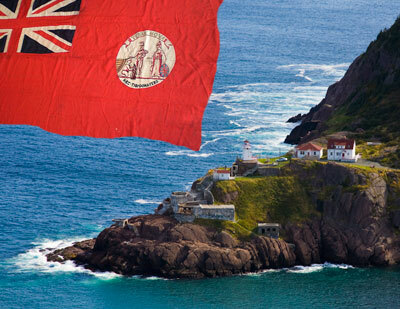 The only formation not from Great Britain was from the realm’s oldest colony, Newfoundland, which had only recently received self-governing status in 1907. Newfoundland — like Australia, New Zealand, and Canada — was a Dominion. And like the larger Dominions, the island nation sent her sons and daughters to help the Mother Country in her titanic struggle against the Hun, the Boche, Kaiser Bill and his Teutonic hordes. The Newfoundland Regiment would face many more trials after the catastrophe on those once-verdant fields of Picardy in Summer 1916. But the disaster on the Somme would henceforth — starting in 1917 during the war — be commemorated in Newfoundland every July 1st as Memorial Day. 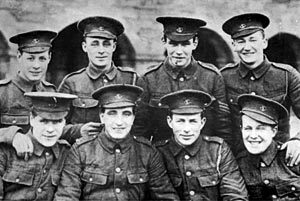 Before the war’s end, the Newfoundland Regiment would become the Royal Newfoundland Regiment, the only British formation during the war to receive the title “Royal” by order of the King in 1918. Over 1300 Newfoundland or Labrador souls would be counted amongst The Fallen of the Great War. Names like Lind, Ayre, Goodyear, and others would be forever etched into the memories of the Fighting Newfoundlanders who survived. One name not heard amongst the most remembered is Otto Herbert Adams. This soldier too has a story worth recounting. Though it isn’t one necessarily of bravery, it is surely one of sacrifice. Adams was a “boy soldier” (under the age of 19 upon attestation) who gave a stated age of 18 years and 3 months in 1915 when he “signed up” with an X which legally bound him to the King. Around the X, the recruiting officer — who no doubt had to read the form to the lad — wrote “H. Adams his mark” (at right). With this most simple scribble, it was done – Herbert Adams was now Private Adams, #1770, 2nd Battalion, Newfoundland Regiment. On the 11th day of August 1915 he was listed as 5 foot 7 inches tall, declared his trade as “Farmer” and his religion as “C of E”. He was an only-son and according to his Mother “possessed a wonderful, roving mind”. His Mother would also later reveal her boy was 16 years and 6 months upon enlistment. At the time, Fanny Adams resided at 26 Belvedere Street, “City”, as St. John’s was known to Newfoundlanders then since it was the only city on the island. Mother lived with her husband, eldest daughter, and, until now, young Herb. By the letters in his file held in the Archives of Newfoundland & Labrador at The Rooms in St. John’s, soon after the young man left, things at home went from bad to worse. His father became very ill and in 1918 the family came down with “the Flue (sic)” when money was at best, scarce. Troubles at home seemed to mirror problems the young recruit was having in uniform. His charge sheet lists 3 offences committed while still training in the UK – 2 for missing parade and the last and most serious, refusing to obey the order of an NCO. All the offences listed the penalty of “CB” or confined to barracks — which could be exactly what Adams had in mind. One of the punishments was meted out by Capt. Eric Ayre, an officer from a St. John's family that would lose four sons – all officers – on July 1st. 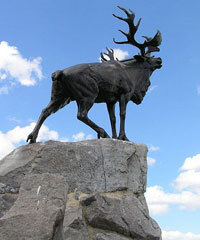 While Adams and the next Newfoundland contingent trained in the UK, the Newfoundland Regiment itself arrived in France from its sojourn on the Gallipoli peninsula, fighting "Johnny Turk". After a brief refit, the regiment settled into the Somme area of France in April 1916. In June, Herbert, in a draft of 66 replacements, was on his way from England to join them in the field. The attack on the fortified hamlet of Beaumont-Hamel was to be carried out by the “Fighting 29th” Division as part of the largest Allied assault the war had yet seen. The division’s three brigades formed up with the 86th Brigade on the left flank, and the 87th and 88th (which included the Newfoundlanders) on the right. The attack was to take place on the 28th of June, and Herbert’s draft of 66 soldiers were supposed to join the battalion two days after the attack, as if the regiment was anticipating its upcoming battle casualties. But bad weather postponed the assault until July 1st. Left Out of Battle — L.O.B. in military parlance — is a foundation upon which to rebuild a regiment, in case of disastrous results of a military action. The concept was developed in WWI and the LOBs were mostly experienced personnel, especially officers and NCOs, who would form the nucleus of a rebuilding program. As it happened, because of the delay, the raw recruits were simply added to the fighting strength of the Newfoundland Regiment by Lt-Col A.L. Hadow, and by all accounts took part in the fateful battle less than 24 hours later. These were men (and boys) who had not trained with the rest of their fellow soldiers and had literally NO experience in trench warfare. The 10% of soldiers who are generally Left Out of Battle were already chosen by the regiment on the 28th June, so these 66 "replacements" were absorbed into the regiment as combattants. It is most possible that Herbert Adams got his first taste of battle on the day the Newfoundland Regiment was destroyed — July 1st, the first day of the Battle of the Somme. Since Adams is not listed among the wounded, and his records indicate no injuries, wounds, or convalescence, the boy probably answered the roll of only 68 (out of an attacking force of 801) unscathed survivors of the battle the next morning. In short, Herb Adams is in all probability one of the legendary Sixty-Eight in island lore. The Gueudecourt Nfld Memorial marks the furthest point of advance of British units during the Battle of the Somme. In examining the service records of the Great War, it becomes readily apparent that disciplinary offences great and minor tend to coincide with the approach and commencement of combat engagements. Herbert Adams’s paper trail is no different. On April 10th he was awarded 7 days Field Punishment Number 1 — to be tied to a stationary object for hours on end (the wheel of a general service wagon, if there was one around, was a popular choice). If this punishment meant a soldier was to be taken out of the line during an attack, however, then the punishment would be temporarily suspended and the soldier would return to his unit to do the job for which he signed up, or in Adams case, scratched his “X”. If the boy thought disciplinary action would relieve him from the regiment’s attack on Monchy-le-Preux, he was mistaken. And much worse was to follow. According to his records, a Field General Court Martial was convened, and on May 18th Otto Herbert Adams was tried and found guilty of desertion. In this case, for specifically “leaving the trenches while under shell fire.” The penalty recommended and confirmed by his commanding officer, Lt. Col. A.J. Hadow was “to suffer death by being shot”. The teenager from St. John’s was to be shot at dawn. Luckily for Adams, the Colonel was over-ruled by British Third Army Lt. Gen. Edmund “Bull” Allenby, who commuted the death sentence to one of “10 years PS” – penal servitude (military prison). Allenby, the General Commanding British Third Army, personally commutes Newfoundland Regt’s Private Adams’s death sentence. “I direct that the sentence of Death (which I hereby commute to 10 yrs P.S.) be suspended." Herbert’s trial, sentence and subsequent incarceration happened at a time when his mother had not heard from him in months. Desperate for any word he was still in good health and had received her packages from home, she pleaded for someone to help her contact her illiterate son. As far as the officer who had finally contacted Mrs. Adams knew, “…your son, No. 1770, Pte. O.H. Adams, is well and serving with his Unit,” when in fact, his death sentence had been commuted one week earlier and he was now sitting in a military prison while the authorities decided what to do with him. This put the officers in charge of communications in an awkward position, once it was learned what was happening in the young soldier’s life. Given the circumstances they decided “the subject is one that can perhaps be better dealt with verbally in St. John’s. The results of attempting to explain to his Mother in writing might cause unnecessary pain and misunderstanding. It is therefore suggested that you may be good enough to direct that an Officer ask Mrs. Adams to call on him and that he should explain the case as he thinks fit. I may also refer you to the fact that at the time of posting my reply to Mrs. Adams and my letter to her son, copies of which are also enclosed, the circumstances of Pte. Adam’s case were not known here.” Whatever the outcome of the meeting between the officer with the regrettable task of explaining her son’s circumstances, the light shed would have provided little comfort to this long suffering woman. It is doubtful Adams spent long in the clink as men were scarce. Consider the tremendous pressure on the small island nation, population 240,000, to feed an insatiable Mother Country with Newfoundland’s sons, as it had traditionally fed her with cod. Consider further the even greater stress on the Dominion when the Newfoundland Regiment was virtually destroyed in several engagements. 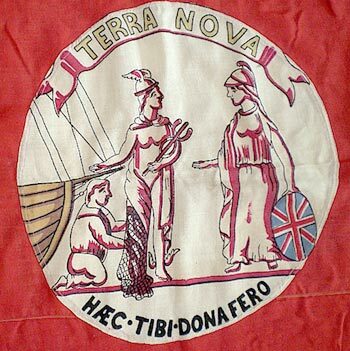 Did Newfoundland desire to be part of the British colonial club so fervently, and pull their weight for the empire so avidly, they turned a blind eye to boys in their ranks? 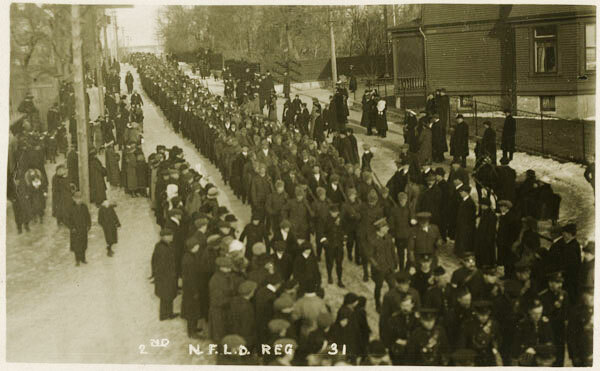 Unlike Great Britain, which introduced conscription in January 1916, Newfoundland was still an all-volunteer infantry. Mere months after the Battle of Arras ground itself out, the British Army turned its attention northward, to Flanders. In another “breakout” operation, Field Marshal Douglas Haig targeted the pulverized, sodden landscape to the east of the medieval Belgian city of Ypres as the best place to defeat the Germans once and for all. The Newfoundlanders took part in two separate engagements in the Third Battle of Ypres (at the end of which included the battle for the muddy dust heap once known as the village of Passchendaele). From available sources, it would appear that Herbert Adams survived the first attack (in August, near Langemark), but the troubled boy’s luck ran out when he was reported "missing" during the regiment’s assault on German trenches near the destroyed town of Poelkapelle on October 9th, 1917. The Division attacked with two brigades — the 88th attacked with the 4th Worcesters and met strong opposition from pillboxes along the railway embankment. These were dealt with. The Newfoundland Regiment, in support, had become intermixed with the Worcesters and both units arrived at the first objective, Namur Crossing (where the road ran under the railway). The consolidating men came under fire from a blockhouse in front of their position which had not been cleared, but before mortars could be brought up it was single-handedly captured. On the way to the second objective, a blockhouse 300 yards to the front, near the railway and Pascal farm, caused some casualties but was dealt with by trench mortar fire. By 9 a.m. the second objective had been taken. The Newfoundlanders passed through and went on to take Cairo house and the line of the third objective. The four month slogging match called “Third Ypres” included colonial troops from Newfoundland, Canada, Australia, New Zealand, India, and South Africa. The lion’s share of soldiers killed were buried without identification or their bodies lost in subsequent offensive operations. However in Adams’s case, his body actually was recovered for burial and identified by a burial officer – a Lt. Massey – though this did not happen until two months later, on Dec 18th, 1917. As so often happened in the Great War, where the to-and-fro of battle scarred and chewed the landscape again and again, many graves were lost or obliterated by shell fire. Such was the fate of the not-so-final resting place of Herbert Adams. Though he may have had a Christian burial and even had a marker erected, the German offensive in the spring of 1918 rolled over those same battlefields and cemeteries, only to be pushed back again over the same ground by the Allies that autumn in the Last Hundred Days. Thousands of graves, along with their inhabitants like young Adams, simply disappeared. O.H. 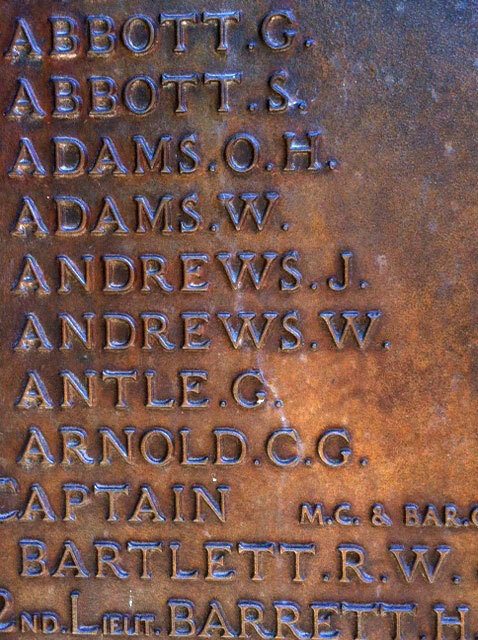 Adams is listed among the Missing on the bronze plaque in Newfoundland Memorial Park in the Somme valley at Beaumont-Hamel. He would never leave the Regiment again. Appropriately, the last words go to the Commonwealth War Graves Commission who list Otto Herbert Adams #1770 as having died October 9th, 1917, which by his attestation papers would mean he was 20 years old at the time of his death. Why then does the CWGC list his age as 18? I bet they asked his mother. 2) In the regimental war diary, there is no mention of a Field General Court Martial convened to determine the fate of O. H. Adams. This lack of mention is very odd. Lesser charges later in the war are fully disclosed in the diary. 4) Newfoundland made no attempt to hide the fact that Thomas Ricketts was the youngest soldier ever to win the Victoria Cross at age 17. Ricketts was only 15 AND A HALF when he signed up. His stated age was 18 years and 3 months — the same as Herbert Adams. Perhaps the boys figured it would be 9 months before they would see action. In Adams’s case it was pretty close — 10 months and change from signing up until he would be "legal". In Rickett’s case, he joined the Newfoundland Regiment in the field 10 months to the day after he enlisted. 5) John Croak was the only other Newfoundland-born recipient of the Victoria Cross. He emigrated to Nova Scotia, Canada with his family when he was 2 years old and served with the 13th Battalion, CEF, winning his VC, posthumously, for his bravery at Amiens in August 1918. 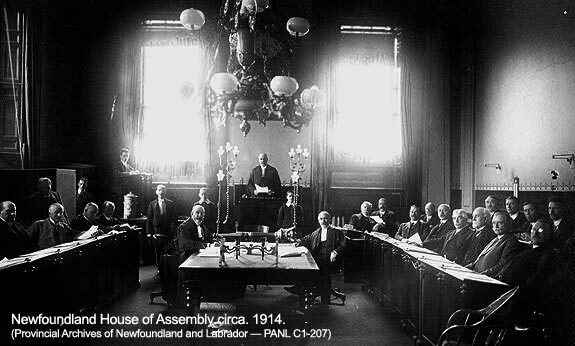 6) Was the issue of “Boy Soldiers” ever brought up in the Newfoundland parliament and debated, as it was many times in London? If you have any observations, comments, insights, or see any errata, typos, contact us.